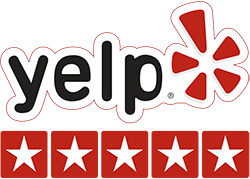 Thank you to Jill for nominating Dr. Vinograd as UT San Diego’s best dentist. If you would like to cast your vote for Dr. V, visit http://uniontrib.secondstreetapp.com/l/sdbest-2015-nominate/Ballot/HealthyLiving , click on dentist, then type in Daniel Vinograd, DDS. According to Wikipedia, approximately 75% of people experience some degree of anxiety about going to the dentist, with as many as 20% experiencing anxiety intense enough to delay dental care until they are in pain. Because of this anxiety, small problems go unaddressed until they become big problems requiring invasive, usually uncomfortable, expensive dental work. For many of these patients, sedation is needed to help them relax. 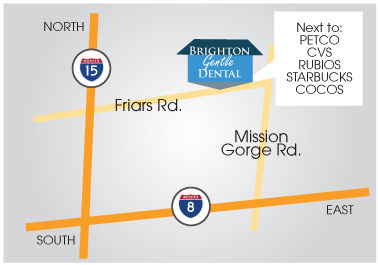 Our goal at Brighton Dental is to put you at ease so you are comfortable while we care for your oral health. With this in mind, we are always looking for new ways to ensure your comfort. When we heard about recent research regarding the ability of aromatherapy to lower anxiety levels, we were intrigued and started offering it to our patients during appointments. Aromatherapy has been used for a variety of problems since ancient times and citrus is well known to alternative medicine for lowering anxiety. One study that caught our attention was done using orange essential oil on ten boys and twenty girls from six to nine. The children had two separate treatments, each consisting of pain-free treatments that included prophylaxis and sealant. The painless nature of these treatments ensured that discomfort would not skew the results. 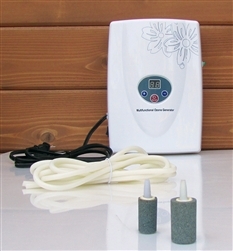 Half of the children received the orange aromatherapy during the first treatment and no aromatherapy during the second. The other half received the aromatherapy during the second treatment and nothing during the first. Anxiety levels in the children were measured both before and after each treatment using their pulse rates and by measuring the amount of salivary cortisol (stress hormone). Both groups of children experienced less anxiety when receiving the aromatherapy than without. In many people, dental anxiety stems from a previous uncomfortable or painful experience. Anxious patients are more sensitive to pain, making future visits more painful, leading to a neverending cycle of anxiety and pain. Patients may then begin neglecting their oral health, leading to more frequent and severe cavities, and more gum disease. At Brighton Dental, we believe that your oral health depends on your comfort. This is the foundation of our practice, and the reason we keep looking for new ways to make sure you are comfortable and relaxed. A study has show that those who have gum disease and practice poor oral hygiene may be at an increased risk for developing Alzheimer’s disease over those who have good teeth. The research, conducted in the United Kingdom at the University of Central Lancashire, found that people who have dementia sometimes have the bacterium Porphyromonas gingivalis, associated with gum disease, in their brains. This was found in brain samples of 10 patients with dementia that were donated for medical research compared with 10 brain samples that came from people without this brain condition. 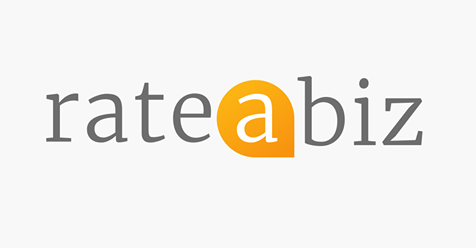 This limited study was published in the respected Journal of Alzheimer’s Disease. This type of bacteria is usually found in the mouth and goes into the bloodstream through all sorts of activities that people do every day, like chewing and eating as well as brushing the teeth. 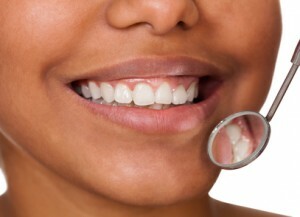 The bacteria is at an increased likelihood of entering the bloodstream immediately following invasive dental treatment. This study is another in a line of research findings that show a strong link between the brain condition Alzheimer’s Disease and poor oral condition. Researchers in New York found in 2010 evidence that linked the brain issue with gum inflammation. They concluded that gum disease can increase cognitive dysfunction. 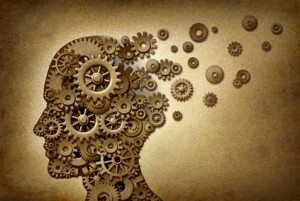 Those analyzing the current research indicate that while a link between dementia and other kinds of bacteria and viruses is already established, there has never been evidence of a possible connection between gum disease and Alzheimer’s. The indication of dental work as a trigger is also new. More research is needed, experts say, to establish whether the link can be proven completely. It isn’t known if bad dental hygiene can cause dementia in healthy people or whether the existence of the bacteria can make an existing dementia condition worse. It’s even possible that presence of Porphyromonas gingivalis could prove to be a blood test marker that predicts Alzheimer’s development or high risk. Cleaning your teeth, flossing and going to the dentist regularly are very important for keeping your teeth and your gums as healthy as possible, but proper oral hygiene is also critical to your overall health, according to a variety of research. In many cases, oral health problems are a symptom of a disease like diabetes. In others, gum disease can be a cause or contributing factor of a disease. Conditions that are linked in some way to oral health include heart disease, the premature birth of babies and even arthritis in the knees. As one professor put it, the mouth is part of the rest of the body. And the research proving or at least strongly suggesting a link between various problems of the body and problems of the mouth is growing. Gum disease is a known complication of diabetes. The condition caused by too much sugar in the blood can change the nature of blood vessels and therefore change blood flow. Reduce blood flow in the mouth can weaken gums and increase their vulnerability to infection, according to multiple researchers. In addition, the high glucose levels that go along with untreated diabetes can encourage the growth of bacteria in the mouth. A study from 2011 found that dentists had 73 percent accuracy in identifying diabetics by counting the number of missing teeth and looking for abnormal pockets between teeth and gums. When combined with blood testing, the dentists were 92 percent accurate in identifying diabetics. This is important because it is believed that as many as 7 million people have diabetes and are unaware they have the condition. Multiple studies have shown a link between gum disease in the mouth and a greater risk of heart attack and stroke. One was a 2003 review of previous studies that found an increase of 19 percent in the risk of people with periodontal disease developing heart disease when compared with people who didn’t have gum disease. The precise reason for the link isn’t clear. It could be because gum disease increases overall inflammation in the body, and inflammation is a risk factor for heart problems. Other researchers have suggested that bacteria from the mouth can get into the bloodstream and contribute to the plaque already forming in the arteries. A study from 2005 has found oral bacteria in artery plaque. But it can’t be said definitively that poor oral health causes heart problems. The conditions share many risk factors, like smoking, diabetes and old age, and this could be the complete explanation of why they occur in the same people. This is the current thinking of the American Heart Association. Still, there is a stronger link between oral issues and heart issues where some kinds of heart disease are involved. Endocarditis is an inflammation of a heart valve lining and is caused by bacteria, including oral bacteria. Ironically, brushing your teeth when your gums are badly damaged can tear gum tissue and let bacteria get into the bloodstream, but endocarditis is rare and not something most people have to worry about. Research has show a link between periodontal disease in women who are pregnant and a greater risk of premature birth. These studies have been unable to prove that gum issues can cause premature birth, but researchers are speculating that an immune response to an infection in the mouth could cause an acceleration of the birth process. Unfortunately, treating the gum infections doesn’t seem to reduce the risk of delivering early. In addition, a 2011 study conducted in Australia found that women with gum disease take longer to get pregnant than those without it. 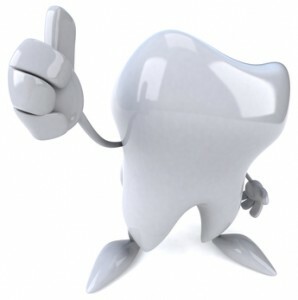 A study from 2012 indicates that bacteria of the mouth may contribute to both osteoarthritis and rheumatoid arthritis. The researchers took samples of the synovial fluid found around the joints from 36 different people who hard arthritis, and five of those had oral bacteria in this fluid. In two of those patients, this bacteria was genetically matched to the specific bacteria found in their mouths. This means that according to this study, bacteria in the joints can make arthritis worse. But since the study was small, additional research is necessary to strengthen the link between oral bacteria and the worsening of arthritis. Mouth bacteria can also find its way to the lungs when an infected person breathes in tooth plaque, according to some research. 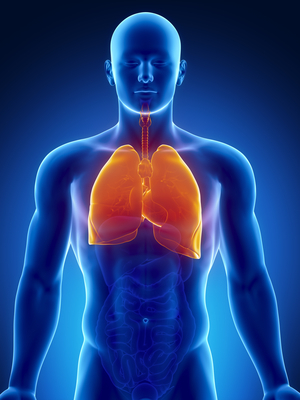 This can lead to pneumonia and other severe respiratory complications. This risk is greatest, however, in people who have underlying conditions that compromise the strength and integrity of the immune system. 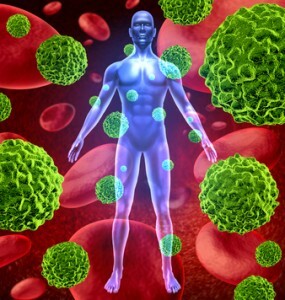 Bacteria can also play a role in worsening a chronic lung problem, according to a study. This includes the condition emphysema. People don’t often realize the connection between oral health and the health of the rest of their body. That’s why so many people don’t both to fill in the medical history forms given to them by the dentist completely. Since they don’t understand the need for the complete information, they don’t think honesty and care in providing it is necessary. And some people who are taking medicine for various cancers, osteoporosis and other conditions don’t realize that these drugs impact the ability of bone to heal and therefore could impact the healing of an extraction, for example. For these and other reasons, it’s important for patients to discuss the interaction between other medical conditions and their dental condition with their dentist. “Hi! This is Dr. Daniel Vinograd. I’m a holistic dentist in San Diego, California. I like to speak a little bit today about the new trend, which is the dental spa and the emergence of dental spas. I think it’s a result of people moving away from the old paradigm of going to the dentist, having pain and a very unpleasant experience to one where you can actually have a feel good experience where you can feel pampered. Now, that obviously in my mind is very, very related to dental anxiety. Of course, we all like to feel good. We all like to feel pampered, but a lot of the dental spa experience now is moving away from pain into a more gentle and more pampered experience. So, the bottom line here is that patients continue to have very negative feelings towards dental offices and dentists in general because of past experiences, because of pain. This created a great deal of resistance to coming to the office. Obviously, dental anxiety is something that we bring with us because a lot of the early childhood experiences are those of gaining trust from being a fearful child or we just have an existential fear and anxiety, just being part of this challenging world of ours. And when we go to the dentist and we get hurt by somebody who we’re supposed to trust, it really brings all that anxiety and there are a lot of issues of trust that actually come up for the patient. So again, I think the core of this is moving not so much into the spa for pampering sake as a humanistic type of an experience, but more moving away from the dental anxiety to something that is more pleasant and something that, at the end of experience, not only we were not hurt, but we have some positive feelings and some pampered feelings as well. As far as the dental spa experience, aside from not hurting patients, which is a number one priority (obviously you can have all the dental spa available to a patient and hurt the patient and then of course all those feeling of fear and anxiety and negativity come rushing back), so step number one is not to hurt the patient. In our office we use quite a number of methods and often we get patients to say, “You know, this is the first time that a dentist doesn’t hurt me. Even when I get numb, I didn’t feel much at all.” And that, in itself, allows you to relax. And aromatherapy is something that comes into play and we use that in our office as well. Especially some of the essences, the pure essences that tend to relax you. It’s amazing how much our sense of smell has to do with obviously, perceiving danger and as well as with, of course, our sight and any other proprioceptor experiences that we have that we’re equipped with. 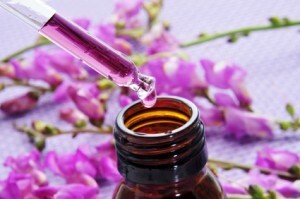 But using aromatherapy tends to bring a feeling of well being to the patient. In addition to that, of course, we try to counsel the patient as far as being able to separate past experiences from present experiences, which is key. If you realize that a lot of these anxieties are based on historical experiences and that, even though we can’t get it out of our mind, of people say, “Oh, I tried really hard not to think about those things.” Well, it’s not about not thinking about those things because we’ve been imprinted already. So, no matter how hard you try, it’s like the elephant in the room, it’s going to come right back. So, it’s not a matter of cutting those experiences that falls out, but to embrace them as just thoughts, narratives, movies that are going to be there, but we can talk to that type of experiences and say, “You know, I understand you are a historical narrative” And we can keep it as a historical narrative that has very little to do with the present moment. Once, we’re able to make that separation, that’s also quite helpful. In addition to that, of course, a lot of patients now come to cosmetic dentistry and the whitening and so, a lot of those procedures, of course have very little discomfort involved with them. But even when you come for something that requires a little bit more extensive work, the technology is here today so that we really can make a painful experience a thing of the past. Finally, I think, one of the things that people are beginning to understand is that, merging allopathic medicine, allopathic dentistry with holistic medicine, holistic dentistry with eastern philosophies and eastern modalities of treatment can be a very, very good combination if it’s bridged properly. As I’ve always said, there’s always been a fight between allopathic and holistic practitioners and that doesn’t have to be that way. If I get run over by a car, I’m not going to go to my herbalist, I’m going to go to emergency care and get an orthopedic surgeon to take care of it. And just as if I have a chronic problem, that allopathic medicine has had very not so much success with, I will definitely look for alternative health modalities which tend to be quiet a bit more successful with that. So, how do you set that? I think acupuncture has a very important part in the dental practice. And we have actually an acupuncturist that comes in and we can have dentistry done with acupuncture which tends to help on two levels: It reduces any possible sensations of pain, and most importantly, it helps the patient to relax. Coupled with other therapies like massage, soothing reflexology can also be very helpful in creating a dental spa experience. “Hello! This is Dr. Daniel Vinograd, holistic dentist in San Diego, California. And today, I’d like to speak with you about acupuncture in dentistry. Acupuncture is a very old modality that began in China. Actually it began prior to Chinese records. They actually have found some stone and bone needles or sharp instruments that they used to use to make acupuncture an effective treatment. Rumors say that they found that to be the case when people were wounded in different areas and they observed that that seem to actually have an effect on some of the illnesses that these people had related to the injury. It is thought that acupuncture started in China and the earliest records we have is in 200 B.C.E. After that, it actually spread out throughout Asia, Korea, Japan, et cetera. And even though there are different techniques, the basic concept is the same. It is thought by eastern medicine that there are energy flows in the body with certain paths, recognizable paths similar to the trajectory of a river. And these river paths have meridians that they travel through and are associated with different organs and so forth and different energy flow. There are areas in the body where—just like the river, sometimes the river will move closer to one side of the river than the other. And sometimes it will be deeper, sometimes it will be shallower. In this case, when those meridians or those areas of chi flow get a little bit to the surface, those are considered to be acupuncture points and by actually stimulating those specific points, trained acupuncturist can actually regulate the flow of such energy which they call ‘chi’. By doing so, and finding out where the flow is healthy and when it is stagnant, by regulating such a flow, they feel that they can create balance. There have been a lot of words, different studies that have actually shown the effectiveness of acupuncture. We are relatively new in the western world. And just to give you an idea, it was just not until the early 1970s where the first acupuncture clinic was established in the US. I believe it was in Washington, D.C.
Now, acupuncture has quite a number of applications and is used as one of the core pillars in eastern medicine. But as far as dentistry is concerned, the most effective applications of acupuncture are for pain management, for increasing the pain thresholds and tolerating pain a little bit better. And, when it comes to pain management, we particularly or specifically are talking about TMD, temporomandibular disease, joint pain and post-operative pain, which is a big one. If we can manage to keep that pain after the appointment down, that’s a great deal. To me, one of the most important applications though is anxiety. Statistics show that about 5% of Americans have crippling dental anxiety. When we talk about crippling dental anxiety, they could not even fathom walking past a dental office, let alone walking inside. Twenty to thirty percent of the population seems to have moderate to severe anxiety. So we’re talking about quite a large percentage of the population. And in my experience, the percentage is even higher than that that exhibit a lot of anxiety. In another podcast, I have talked a little bit about why that anxiety is so prevalent. But having seen those statistics, we can see that any kind of modality to help patients relax and reduce the anxiety in the dental office can be very helpful. In the dental setting, post-operative management is a little bit harder because we are not – [inaudible 00:05:41] although they can get follow-up treatments at an acupuncturist office. But in the dental office, I believe one of the most important applications is anxiety control. There are a couple of important studies, double-blind studies that show significant reduction of anxiety before the treatment when acupuncture is used. And so that would be an important relationship between acupuncture and dentistry. Of course, in the U.S., you have to be a trained acupuncturist, so a lot of the holistic dentist either will bring an acupuncturist into the office or will have follow-up treatments with them. If you thought the benefits of brushing your teeth were limited to clean teeth and fresh breath, you may be underestimating the importance of the daily ritual. Recent research has found that poor dental hygiene could increase your risk of colon cancer. The research, conducted by a cooperative effort between the Schools of Medicine and Dental Medicine at Hebrew University found that Fusobacterium nucleatum, a common oral bacteria, may inhibit the immune system from fighting cancer. Study co-authors Dr. Ofer Mandelboim and Dr. Gilad Bachrach found that the bacteria interacted with colon cancer cells to make them less vulnerable to TIGIT, a recently discovered immune cell that may block the spread of cancer. The bacteria has been previously linked to a host of health issues, including stillbirth, premature birth, and heart disease. The US National Institutes of Health reports that a pregnant women with gingivitis (common during pregnancy), developed a respiratory infection and her child was stillborn. The NIH reports the respiratory infection may have weakened the woman’s immune system sufficiently to allow the F. nucleatum bacteria access to her uterus via her bloodstream. This is the first study that shows a definite connection between the bacteria and deterioration in the health of cancer patients. When the bacteria reached the colon cancer cells, a protein known as Fap2 in the outer membrane attached to the TIGIT cells and inhibited their function, compromising their ability to attack the cancer cells, which allowed the cancer cells to spread. Oral bacteria finds its way to the colon in exactly the same way it ends up anywhere else in the body, via the bloodstream. This research could lead to new ways of fighting cancer. If the bacteria is interfering with the ability of immune cells to fight cancer, then keeping the bacteria from interacting with either cancer cells or immune cells could improve the body’s ability to fight cancer. One member of the research team explains the next step is to find out if removing the Fap2 protein from the bacteria, or finding a way to prevent it from binding to TIGIT could improve the outcomes of cancer patients. An individual’s risk of cancer depends on a variety of different factors, such as age, lifestyle, environment, and genetics. Brushing and flossing everyday may not necessarily lower your cancer risk significantly, but good oral hygiene can certainly minimize the bacteria in the mouth and keep it from migrating to the colon. Dental crowns can differ significantly in quality because of differences in artistry and materials. These are among the many variables that go into your decision about what kind of crown to choose for your tooth — because they aren’t all the same. The quality directly impacts the cost of the crown, but all restorations should adequately restore natural function. Working alongside you, your dentist and the selected dental technician can create a finished dental crown that will make your smile better than ever before. Just be sure you consider all the variables and understand your options before choosing a crown. Perhaps it’s obvious that crowns made from the best materials cost more than lower quality crowns. For example, a crown made of the highest porcelain quality costs the most. But just as important to how the crown looks is the expertise and artistry of the dental technician who creates it. While some crowns are simple and white without much visual appeal, others are translucent mini-masterpieces that look exactly like your natural teeth. To ensure the best work, make sure your crown is sent to the best available technician. For a more affordable crown, ask about a more affordable technician. You also have choices about how your crown will look. You can choose the crown color in consultation with the dentist, and you need to speak up if you don’t like what the dentist proposes. Also, if the finished product is not to your liking when you first see it, be sure to voice your objections before it’s cemented into place. A great deal of subjectivity is involved in the appearance of dental crowns, and you play a role in making sure yours looks the way you want it to. The dentist may suggest a provisional crown, and this can often be a good idea. 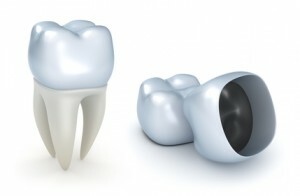 A temporary crown can help you see what the permanent one will look like so you can see how it blends into your smile. You can also find out if eating and talking are completely restored when you try a provisional crown. Once the design meets your requirements, a permanent crown can be made to the same specifications and of better materials. Provisional crowns add to the cost of the restoration, but they can be important tools if you want to determine what your finished smile will look like once the restoration is complete. Whatever decisions you make, expect to get back your natural function at a minimum. Other than that, much about the look of the crown is determined by your taste, your insurance and your dentist’s recommendations. For the best results, it all starts with the best dentist. A dentist with a great reputation and a history of satisfying clients can provide the best possible results. You can make things go even more smoothly by asking questions about cost and quality from the beginning. You’re the patient, and you deserve to have things done your way.